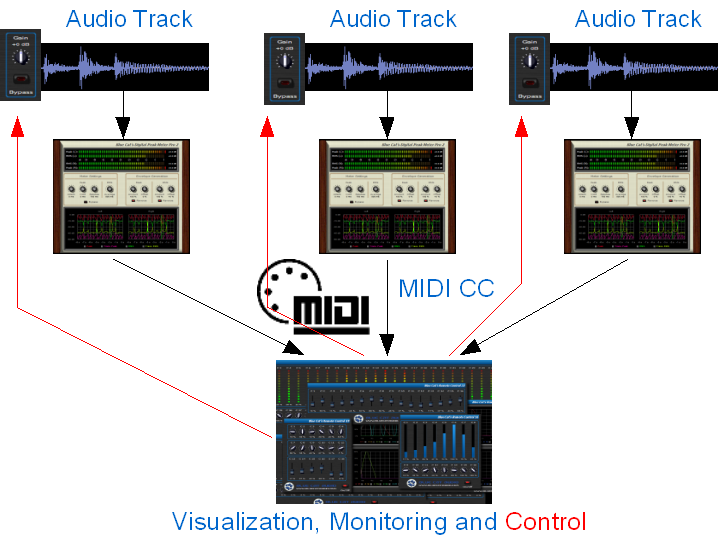 This tutorial shows how to use the Remote Control MIDI control surface and DP Meter Pro audio analysis plugin (DPMP) to monitor and control several tracks in a same screen. 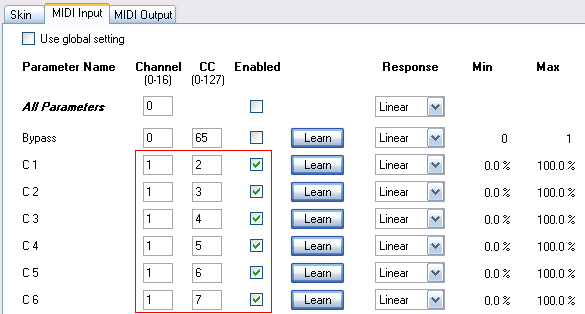 Before you read this tutorial, please read the Remote Monitor tutorial first and reuse the same project as a basis for this tutorial. 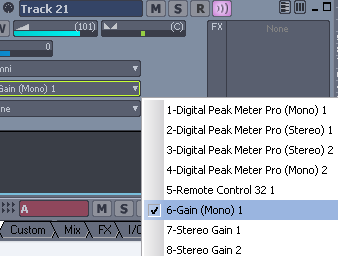 You are now able to control and monitor several tracks volume in a single screen thanks to the DP Meter Pro and Remote Control plugins MIDI capabilities. 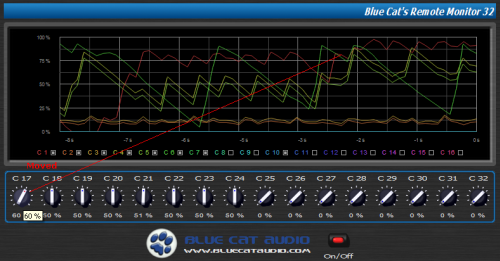 What about customizing your user interface with Blue Cat's skinning language, or controlling and monitoring other parameters (RMS level, Mid/Side level...) with our other Audio Analysis tools. 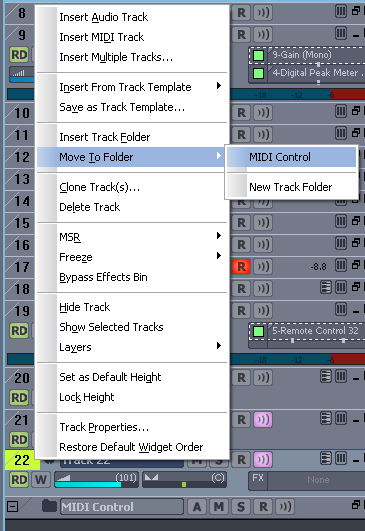 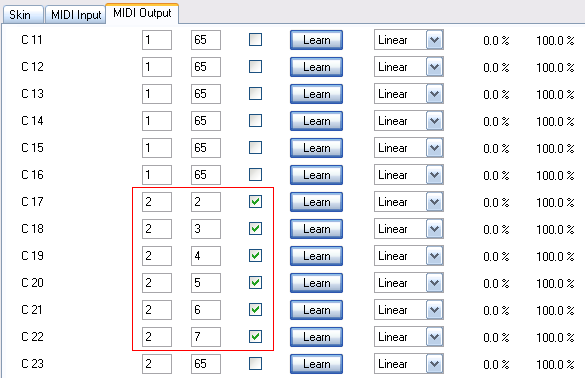 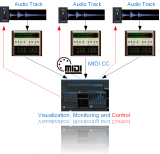 Again, another trick is to apply the same tutorial on a two computers setup: if they are both connected with a MIDI interface, you can then control and monitor a computer from the other one.